There is no cure for migraine headaches, so they are commonly managed using drugs. Unfortunately, these drugs can have serious side effects, and they are not always effective. Patients seeking relief without the use of drugs may benefit from complementary medicine for migraines. At his practice in Poway, CA, Dr. Bret Mosher uses natural therapies including acupuncture and herbal supplements to help patients successfully manage their pain. Depending on the patient, these therapies may be used alone or as a complement to more traditional treatments. Migraines affect 38 million in the United States. More than just a bad headache, migraines are a collection of neurological symptoms that manifest as severe recurring throbbing pain on one or both sides of the head. Other symptoms such as nausea, vomiting, visual disturbances, and extreme sensitivity to light and sound are often involved. The condition is not only painful, but also potentially debilitating. When carefully performed by a trained provider, natural therapies can help prevent or manage migraine pain without harmful side effects. The causes of migraines are not well understood. It is theorized that changes in the brainstem and imbalances in brain chemicals result in the pain. However, there are several known triggers for migraine headaches. These include hormonal changes in women, certain foods and food additives, stress, intense physical exertion, environmental changes, and certain medications. There are also several known risk factors for the condition. For example, the vast majority of migraine sufferers have a family history of migraine headaches. Women experience migraines three times more commonly than men, and most sufferers have their first migraine attack during adolescence. Medications are used both to prevent migraine attacks and to relieve pain during an attack. A number of drugs have been developed for migraine headaches, and there are also drugs used to treat other conditions that can help relieve or prevent the headaches. For mild migraines, aspirin or ibuprofen may provide relief. If patients use them too often or for too long, however, they can lead to stomach ulcers, gastrointestinal bleeding, and medication-overuse headaches. Several other medications are available for more severe migraines, with various side effects that patients may find intolerable. In addition, some of these drugs, such as triptans, are not recommended for those at risk of strokes or heart attacks. Others should not be taken if you are pregnant or nursing, and many of the drugs cannot be taken by children. Acupuncture has been shown to result in fewer and less intense migraines. There are several nontraditional therapies that can be effective for chronic migraine pain. These include massage therapy, biofeedback, cognitive behavioral therapy, and acupuncture. When carefully selected by a trained provider, natural therapies can help prevent or manage migraine pain without harmful side effects. Clinical trials support the effectiveness of acupuncture for headache pain. A 2012 study of almost 500 adults showed that acupuncture helped reduce the frequency and intensity of migraine headaches. Another study with 800 subjects demonstrated that 11 acupuncture treatments over six weeks were at least as effective as beta-blockers to prevent migraines. Herbal therapy can also help prevent or reduce the severity of migraines. Some of these include butterbur, feverfew, and riboflavin (vitamin B-2). If you are interested in complementary and alternative therapies for migraine, it is extremely important to choose a qualified provider. Do not attempt herbal therapy on your own, as misuse and interactions with other drugs can be harmful. 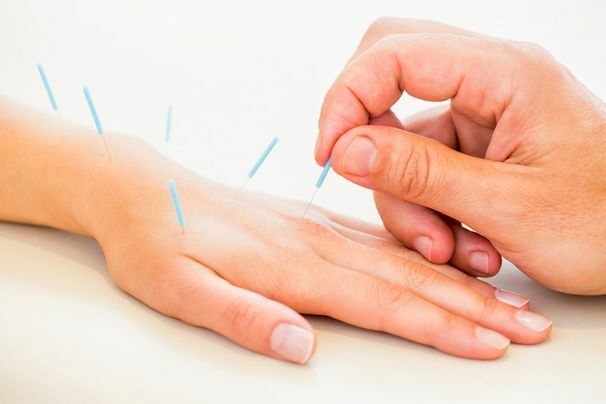 Dr. Mosher is board certified in acupuncture and Oriental medicine, and he can guide your treatments with the utmost safety and effectiveness. To learn more, please contact us and schedule a consultation.